Students will find that they can pursue a minor or a certificate in philosophy as well as a bachelor degree or a graduate degree. A minor in philosophy is a valuable additional to almost any bachelor degree. The value and use of a philosophy certificate, however, is a good deal more limited. When should an international student pursue a minor or certificate program in philosophy? This question can be a very difficult one to answer. Firstly, students are often unsure what philosophy even is, and, secondly, the use of a minor or a philosophy certificate can be difficult to understand. No doubt, the academic pursuit of philosophy can be very rewarding, especially for international students, but what are the potential benefits of these kinds of smaller degrees? The fact is that a minor or a certificate in philosophy may be very rewarding and fruitful, but those rewards depend heavily on what the student's career goals happen to be. The application of a philosophy minor is actually pretty easy. Most employers and graduate schools are not too concerned about what a student's minor happens to be. While some employers might find that a particular minor makes a job candidate more appealing, the largest concern is usually for the applicant's major. Minors act as an excellent means by which to let potential employers know that one is well rounded and that one has a vast array of skill sets. There are careers in which having a particular minor might be helpful. For example, students who want to go into law are likely benefited by a minor in ethics, and students who want to go into business are often benefited by a minor in mathematics. Students will find that they should pursue a minor that increases their capabilities in their chosen career field. A minor may not be of much concern to a potential employer, but may be very useful to the potential employee as it may add additional understanding or skills that improve his or her job performance. In this way, a philosophy minor is especially useful. 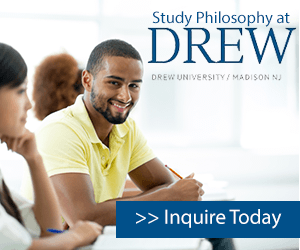 Philosophy is a field that encourages a great deal of critical thinking and analysis, so students will likely find their philosophy training valuable for any job or graduate program. Philosophy is the study of the most difficult questions that have ever been asked in any field. So a philosophy minor is applicable to any major. Philosophers study fields ranging from religion, to mathematics, to art. Students will find that minoring in philosophy is likely to help them think more deeply about their major and, thereby understand it better. Moreover, philosophy courses train students to think logically and require that students explain themselves rationally. The ability to apply logic is likely to benefit students in any job or degree field. International students are likely to find a minor in philosophy especially useful. The training in philosophy is not only intellectual and logical, but written and oral. International students will find that a minor in philosophy is an excellent opportunity to improve their skills in written and oral English in an open-minded environment. Philosophies from all over the world are studied at universities and so the thoughts and ideas of international students will likely be respected and lauded. International students will find the professors invested in helping students improve their skills in English so that the students' ideas can be expressed and argued as effectively as possible. Whether or not one's career will benefit from a certificate program in philosophy can be more difficult to figure out. Some certificates are graduate level, and some are undergraduate level. If an undergraduate certificate is pursued by a student in addition to a bachelor degree, the student is likely to benefit from the certificate for all of the reasons mentioned above, similarly to a minor. The certificate is likely to be treated with a little more respect than a minor, as the student must take more classes in order to earn the certificate. But if the student seeks only a certificate, and no bachelor degree, the student is likely to find it difficult to find work with it, because employers often do not hire based on a certification unless it is a trade certification. Because many careers in philosophy usually require a PhD, the certificate is virtually useless for finding work in philosophy if their primary degree is in an alternate subject. Professional philosophers usually teach at a university level, which requires at least a PhD degree (and is almost impossible to find work without one). Students should only pursue a graduate certificate in philosophy in order to support an already existing graduate degree. Graduate certification, like any graduate program, is very expensive, and students should not pursue them lightly. Many graduate certificates in philosophy are certificates in "Applied Ethics" which can be very useful in many other fields. Applied ethics certificates are suggested for students who are already in a career that would benefit from an education in ethics, such as Health Care, Law, Policy, Politics, Diplomacy, and Educational Leadership. In cases such as those, a certificate is likely to improve one's chances of finding or keeping work, and more importantly, likely to help one perform one's job better. But it is essential that student's know that there are few careers in which a certificate by itself will be particularly useful. If one has the time or money it is better to pursue the complete bachelor or PhD degree. If the student is looking only to add to a current degree or major, then applying to certificate programs in philosophy may be a good idea, but students, especially international students who may be paying significant tuition, should be wary of accruing costs that do not have application without a bachelor or a graduate degree. International students should think of a minor in philosophy or a philosophy certificate as an excellent way to add value to a current degree. If a student already has a job, and they are told by their employers that a certification would be valuable, a certificate may be a more cost effective way to pursue graduate-level work than a PhD degree. The idea behind a minor or a certificate should always be improving either the worth of another degree or increasing skills for a job already held. International students may find that they have wasted a great deal of money if they have not also completed a bachelor degree or a PhD degree in addition to a certificate. Students and employees should always check with their current or potential employers as to the value placed on a certificate by their company. On the other hand, almost any student completing a bachelor degree, who is already required to have a minor, is likely to benefit greatly from a minor in philosophy because of its wide-ranging application and focus on problem solving and critical thinking.